A four-wheel area that proves to offer some fun and adventure is located in Rock Springs where the sand dunes formations are located. There are amazing rock formations in the Red Desert to the West where those interested in four wheeling go for adventure and a good ride. Another well cared for four wheeling train is located in Hackett, in close proximity to Colorado Springs. When planning to go four wheeling in Wyoming you must know that, there are many miles of excellent trails and roads. The best one can do to stay within legal limits is to check with the National Forrest Service for open roads and four wheeling trails. Jackson Hole is a wonderful place to enjoy four wheeling. Join a guided ATV tour and ride through the backcountry. If he or she wants to go it alone and not join a group tour this is all right. No matter, summer or winter there are an excess amount of activities. 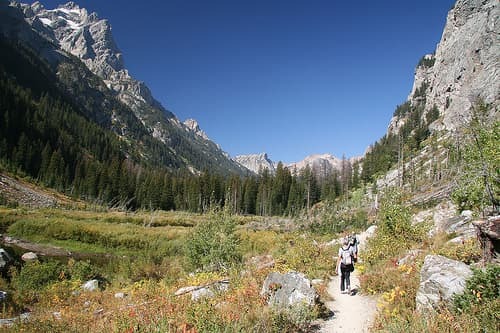 In the area of Jackson Hole, about 30-minutes to the North he or she finds the Bridger Teton National Forest. Guided tours include a wonderful 2-hour ride into mountainous area with breathtaking mountain scenery. Enjoy a full day in the National Forest exploring the Gros Ventre area. Guided tours with skilled professionals assure guests a ride of their life in unforgettable scenery. This trip takes about 5-hours. Bring along a camera and plan to get a bit wet crossing amazing creeks. Your ATV needs to be registered and most state will issue you title. ATV soon is coming under the laws of motor vehicles in most states and you will need insurance. You would want insurance when operating your ATV. Carry this proof with you when driving the ATV. These laws come about due to many reckless users and those who drink and drive. Another reason is because many trails end at roads and you will have to share section of public roads with drives. You will have to have turn signals on your ATV. This is all to keep you on the safe side of the law. In Wyoming, you will need to obtain a state sticker for your ATV.